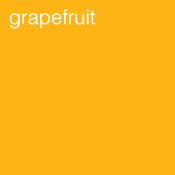 Grapefruits were first documented by westerners in Barbados in 1750, where they were described as growing naturally. They were transported to the United States by one of Napoleon’s Naval sugeons, Dr Odette Philippi, where they flourish in Florida to this day. The trees are large and can reach over 50 feet and produce big white flowers before the familiar large yellow fruits are formed. 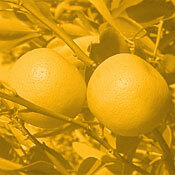 The oil is extracted from the zest of the fruit. Helps congested and oily skin. Herpes, stimulates surface metabolism. Cellulitus, Water retention, detoxifying.